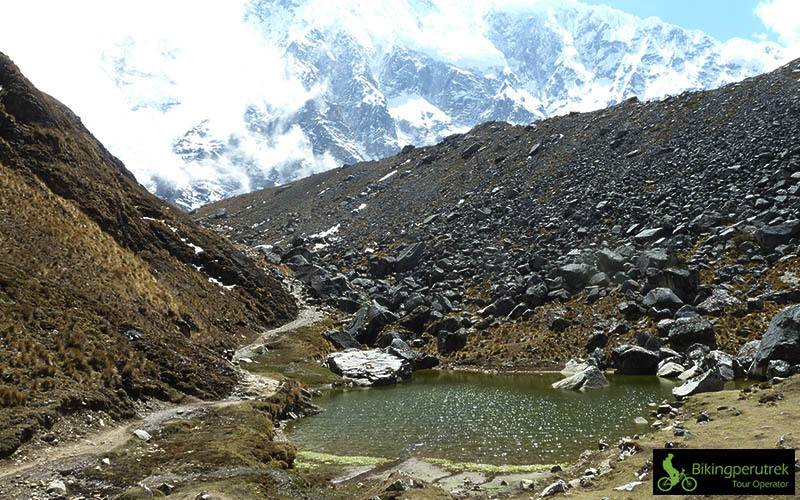 The famous Salcantay Trek ( 6261 meters above sea level (20574 ft) named among the 24 best Treks in the World, by National Geographic , is a trek open to everybody, with no limitation on spaces or permits (at least for now). 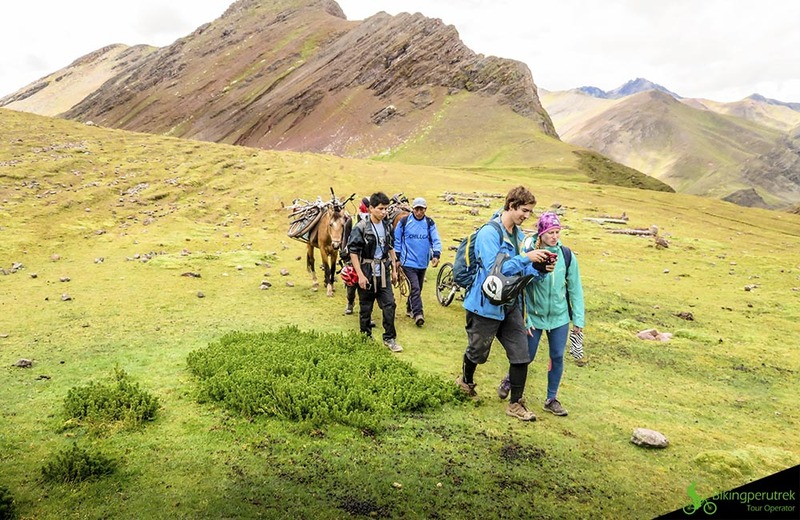 Connecting the city of Mollepata town, Cusco with Machu Picchu, the Salcantay Trek is an ancient and remote footpath located in the same region as the Inca Trail where massive snowcapped mountains collide with lush tropical rain forests. 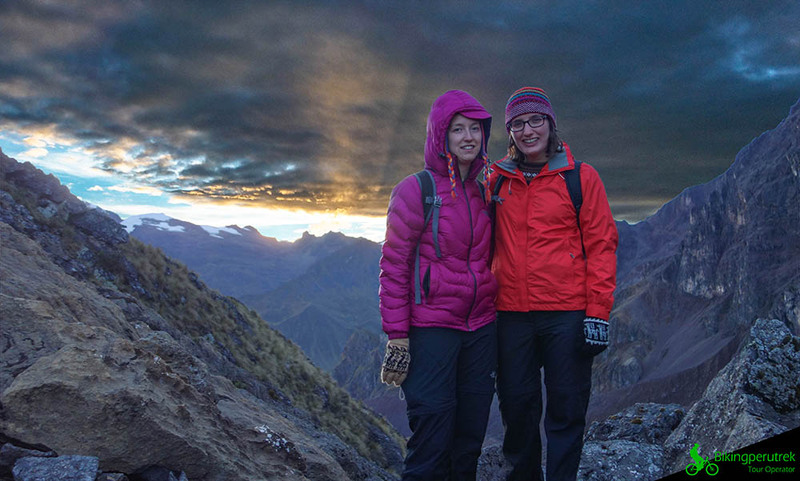 Our classic Salcantay Trek is a custom-designed alternative to the traditional Inca Trail. Off the beaten path, this is a cutting edge experience for adventure travelers looking for a little more privacy and authenticity. With more spectacular views, the Salcantay to Machu Picchu offers the solitude and quiet contemplation such a sacred path deserves. Leaving Cusco early in the morning, we take a scenic drive of approximately 6 hours t o the small village of Marcocasa, located high above the Apurimac River. Here, we meet up with the mules, horses, and arrieros (wranglers) that will carry our gear during the trek. We begin our gentle hike into the green river valley of the Cordillera Vilcabamba, hiking steadily upwards to the high plateau. Along the way, we get our first incredible view of Huamantay (5917 m.). 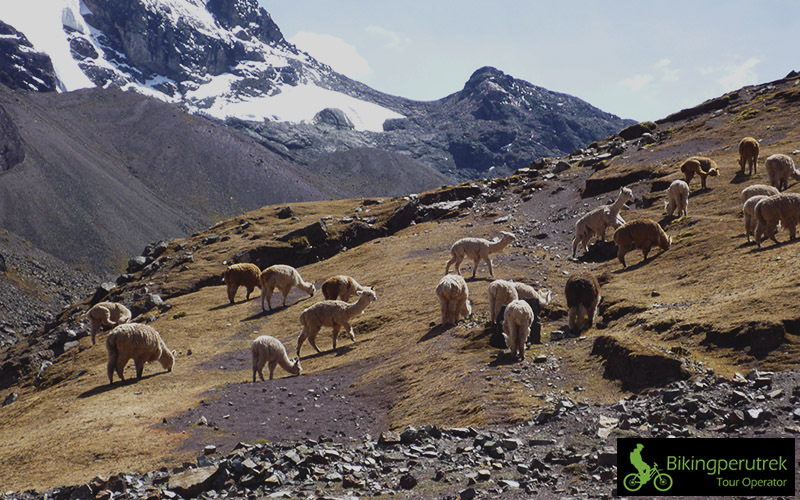 As we approach our campsite at Soraypampa, the enormous Salcantay peak (6270m. and the highest in the Vilcabamba range) dominates our skyline. Morning snack. Salcantay to Machupicchu, Adventure Peru L,D. Following a series of switchbacks (Siete Culebras) our path leads up the side of a mountain and levels out beneath the shadows of the grandiose Mount Salcantay. With Salcantay looming above, we come to a summit marked by small piles of stones, or apachetas, left by locals and travelers to honor the mountain gods. From this high pass (4750m.) 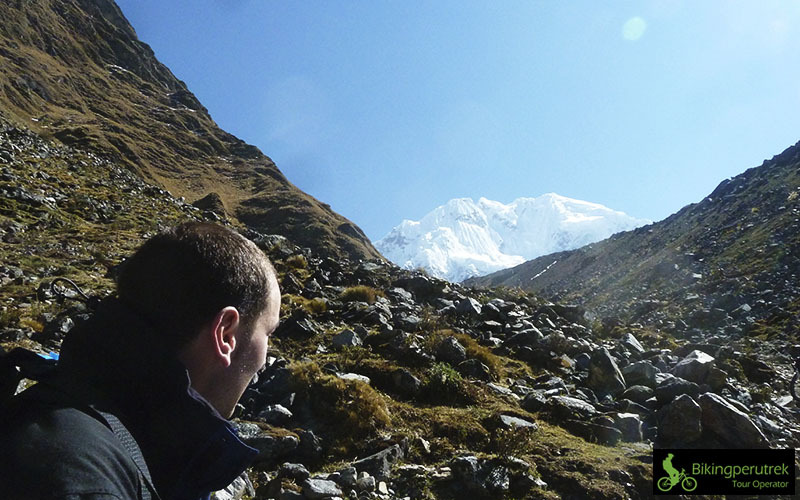 flanked by Salcantay and Huamantay, we make our way towards the valley below to camp for the night at Chaullay. B,L,D snacks. We take the early bus up to the stunning archeological complex of Machupicchu for a tour of these mysterious remains. Then we have time to explore on our own before returning to Cusco by train in the afternoon. Note: For this tour is not necessary to do the reserve with months of anticipation can be done the reserve with you gave of anticipation since is not necessary to remove permission as on the Inca Trail, but al same time in all the journey not archaeological groups are found but that when arrives at Machu Picchu.